Laying up planks on the hull. 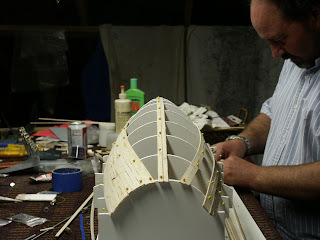 Laid up the keel planks 1st, then put 2 on each side at the waterline. Then worked from the deck knuckle towards the keel. Here is a shot of looking forward from the stern.